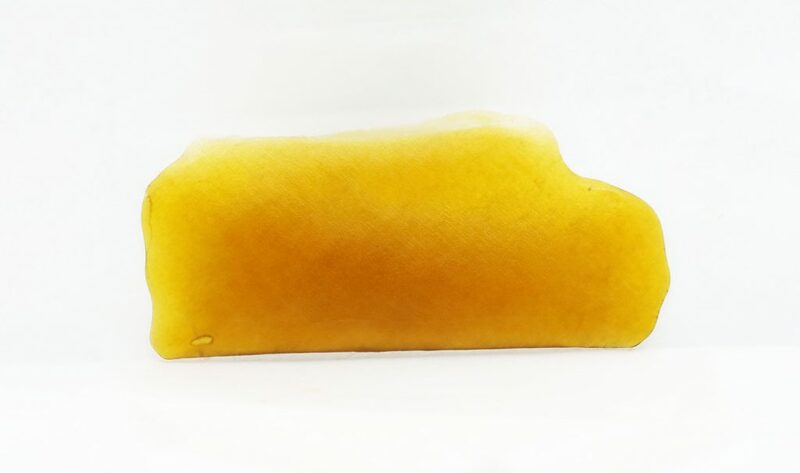 Appearance and Feels: The White Funk from Burnt River Farms has a nice taffy like consistency that is fairly easy to handle. Pull snap is what they call it. The color is also decent, with a pretty amber look to it. 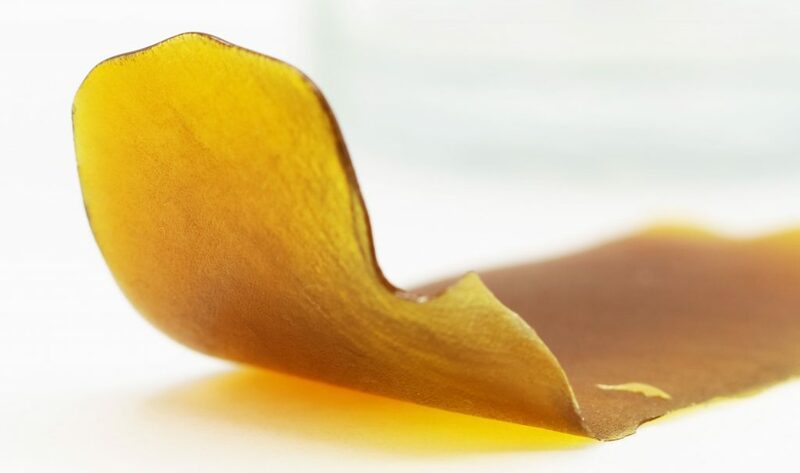 It’s maybe a little more shatter like than pull and snap, but it depends on your room temperature. It was quite lovely to photograph and held nicely in the light box. Smell: To be honest there isn’t much of a smell to it. 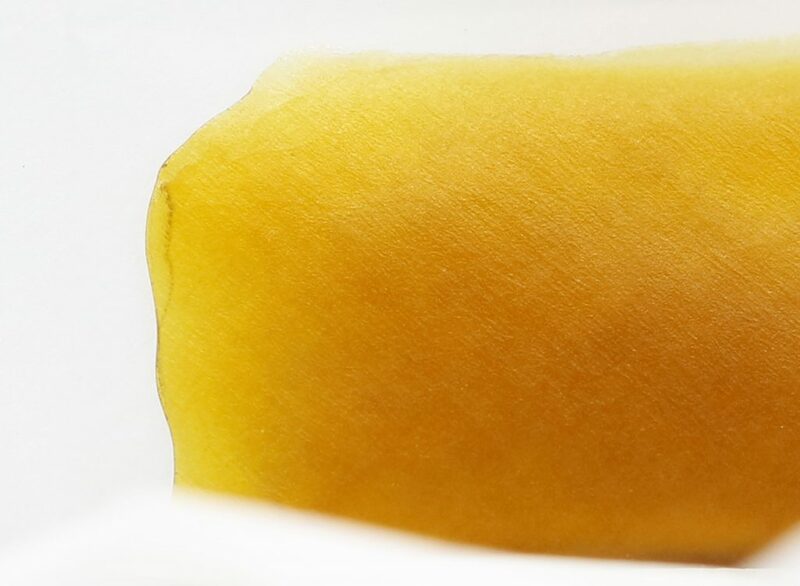 But then again, sometimes material like this has the terps locked in the lattice. You never know until you take a dab. 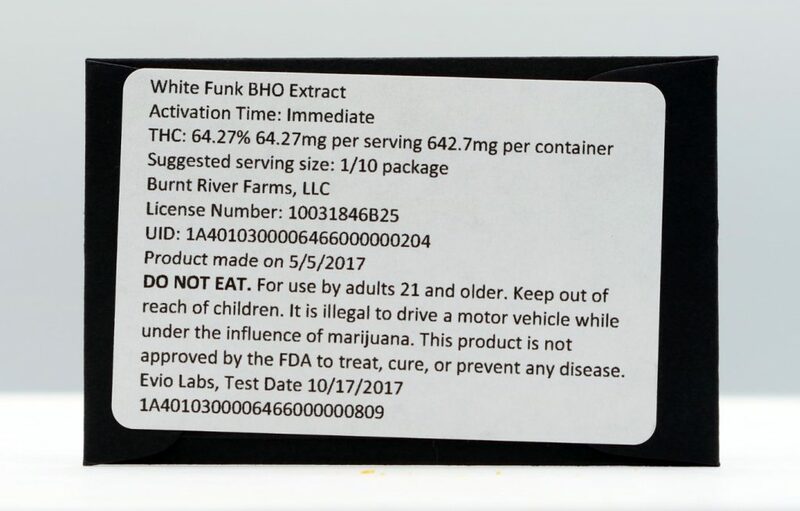 Flavor: The White Funk has a funky fresh flavor to it, with a light tingly blip of sweet, gassy, goodness. It’s not a super pronounced flavor, but it’s definitely smooth and gets the job done. High: The high is nice and floaty, with a comforting warmth to it right behind the eyeballs. 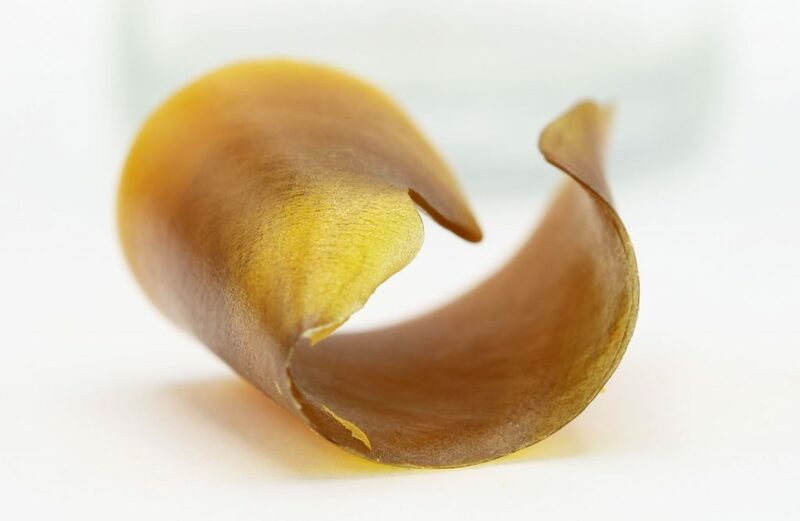 At under 70% THC, it’s probably a good choice if you are new to dabbing and want to dip a toe. There’s obviously much stronger out there, but for the price the White Funk isn’t bad. It’s also not always about a high THC number. 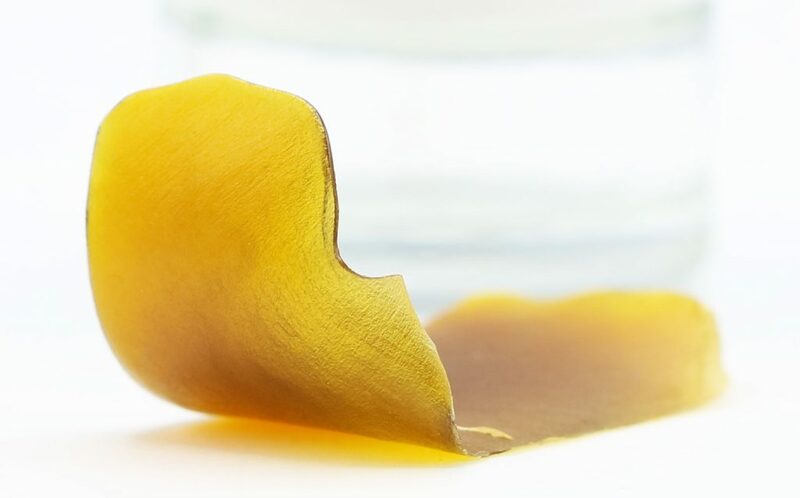 We want to take into consideration the terpenes and other cannabinoids as well. After taking a couple of dabs, I was feeling pretty damn good. 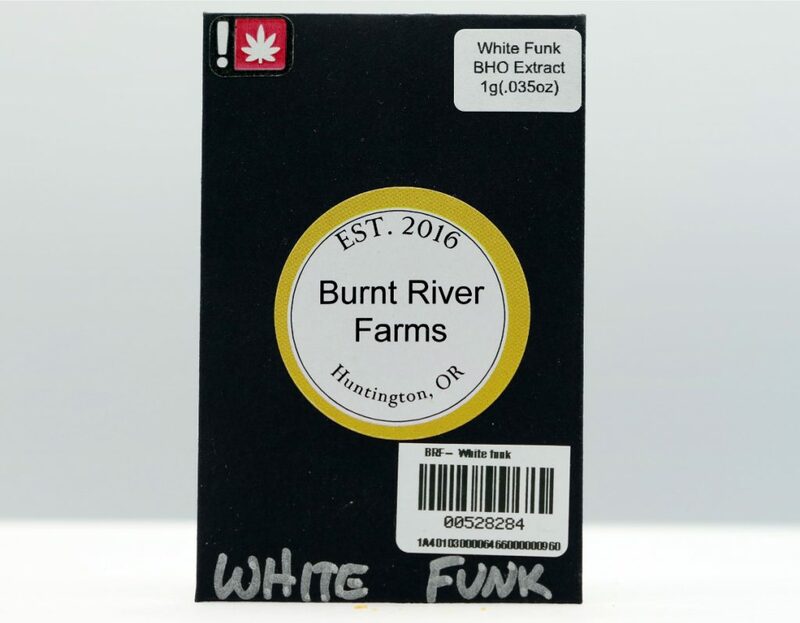 Overall: For the price point of under 50 bucks a gram, the White Funk from Burnt River Farms is a pretty decent buy. There’s definitely cheaper out there, and there’s most definitely more expensive. But for the mids as they say, at 40 a pop, I don’t think most dabbers on a budget will be too worried.